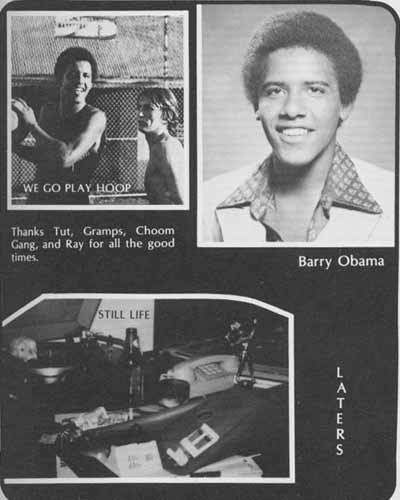 As you know, on January 20, 2009 an unprecedented event occurred in American history: For the first time, America inaugurated a half-white stoner from Hawaii to be President of the United States. The world of TV infomercials has not been unaffected by this monumental change. During the campaign, Obama appeared on a widely televised infomercial asking citizens for their votes. Now Obama has gone from being the star of an infomercial to being the product on infomercials; he’s gone from being Vince Offer to being a ShamWow. 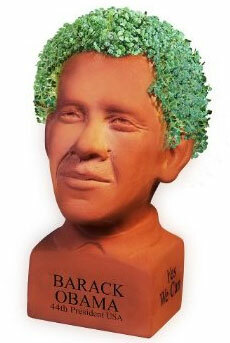 I guess they had to create the Determined Chia Obama because some people thought the Happy Chia Obama wasn’t dignified enough. Unless I’m wrong, you probably forgot to include the best of them all: The Barack Obama Commemorative plate. How could you do such an injustice? The future generations will never forgive you. …and here is Jimmy Kimmel’s take on it. On Change and Obama: Nice Parody. …I really don’t think there’s any avoiding that, silly coin commercial. 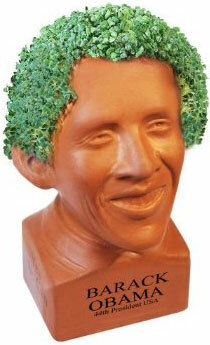 An Obama Chia pet … too cool. 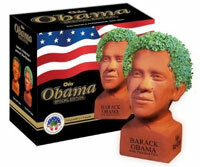 I like how the box has the American Flag blowing in the breeze behind the Obama Chia Head.